Air sealing helps give you gain control over the temperature in your home or building, reduce energy use, and save money on energy bills. There are many inexpensive ways to seal off air leaks. Weather proofing your windows is key to maintaining both a comfortable and energy efficient home in the coming winter months. But as you sit huddled in your overstuffed arm chair, bundled in blankets, trying to escape the chilly draft sneaking its way into your home, you may find yourself wondering where to begin. Plastic Storm Window Kits and Plastic Shrink and Seal Window Kits each offer their own pros and cons. But before you make your choice, letâ€™s see how the two stack up in factors of cost, time, investment, and reuse. 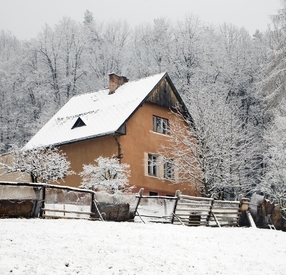 Think of the weather proofing of your windows like buying a new winter coat. You can buy the bargain coat and it will do the job, but youâ€™ll probably find yourself purchasing a new one as next winter approaches. Invest in a sturdier, slightly more costly coat and it will last you countless winters to come. 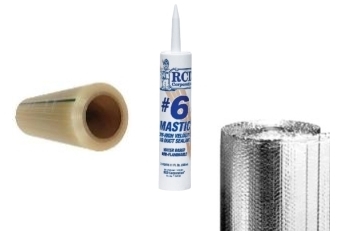 Plastic Shrink and Seal Window Kits are the bargain buy of window weatherization. These offer a lower price than their counterpart, but only a single season of sealed windows. These kits come in the form of a plastic film that covers the windows surface, eliminating drafts, energy loss, and frost build-up. With just a little bit of trimming and a common household hair dryer, youâ€™ll increase the R-value of your windows up to 90%. Thatâ€™s more thermal resistance, for just a few dollars and a few minutes of installation time. If youâ€™re looking for a quick fix at a low price, Plastic Shrink and Seal Window Kits may be the product for you. 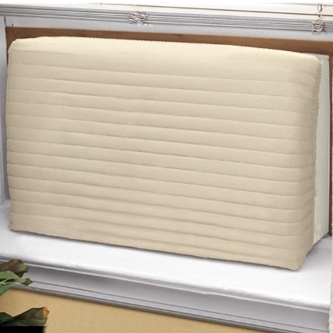 Plastic Storm Window Kits are the investment winter coats of window weatherization. Theyâ€™re slightly more costly upfront, but can be used for more than just the current chilly season. This kit includes a plastic spline and a channel system to produce the seal in the front of the window. Because of this process, the installation time is a bit more involved than for the speedy, bargain option. But with that comes the ability for them to be reused. With an investment of your time and money, youâ€™ll be well on your way to saving anywhere from 10% to 15% on your energy bills. Because Plastic Storm Window Kits are sturdier than their Shrink and Seal counterparts, youâ€™ll be able to enjoy their benefits for many winters to come. Just like picking out a new winter coat, the choice between the Shrink and Seal versus the Plastic Storm Window kits is a matter of preference. Whether youâ€™re in the market for a one season bargain or a pricier investment, you can rest assured, warm and comfortably, that your home will be more energy efficient. Youâ€™ll feel the difference! How Does High Expansion Foam Differ from Low Expansion Foam? 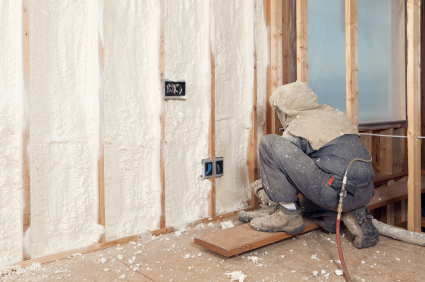 You may be considering using spray foam insulation, but are unsure what type to use. High Expansion and Low Expansion Foam are the two primary types. Here are the main differences between them. High Expansion foam has two components stored in separate tanks until mixed at the time of spraying. After spraying, it typically cures in less than 2 minutes. Low expansion spray foam comes in a single tank or container, and relies on moisture in the air to cure, usually in about 20 minutes. 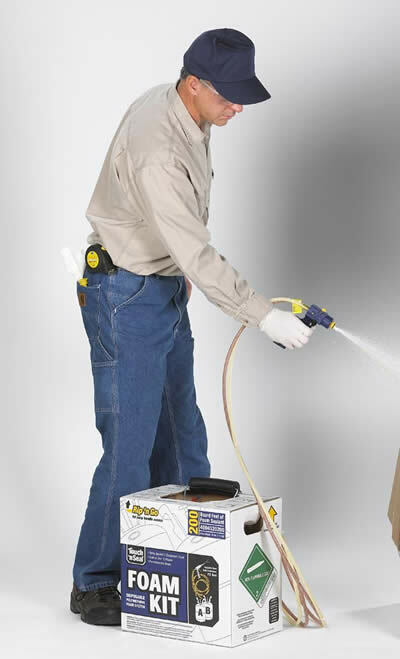 In extremely dry conditions, you may need to use a spritzer to properly cure low expansion foam. Since high expansion foam is used for larger jobs and requires separate tanks for the two components, the dispensing systems are are typically larger and have two tanks, each with a line connected to the spray gun. 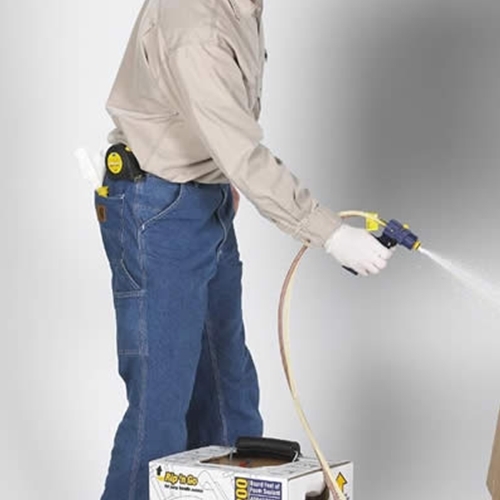 Low expansion foam is typically in smaller containers that can either attach directly to the spray gun or have a single line connecting to a separate, single tank. You don’t need to be a conservation specialist to understand foam insulation; more importantly you don’t need expert knowledge to install it. Whether sealing large areas, small areas, or openings in-between, understanding the types of DIY spray on insulation will go a long way towards raising the comfort level in your home. Insulation material needs to resist heat to be effective: this is R-value. R value is measured based on the density, thickness, and type of material (spray foam) and it tells us if the material holds a high or low amount of thermal resistance. 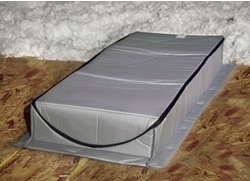 Both types of foam, closed and open cell, offer different R-values and benefits for insulation. The cells in closed cell foam are packed tightly together, so it insulates better. Because the cells are packed so tightly, the foam is also has a high resistance to heat and water – meaning that is boasts a high R-value. Though the R-value is high, over time that number can decrease. 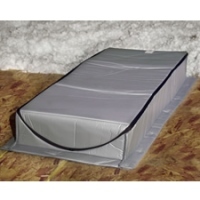 Closed cell, or high expansion foam, better insulates large areas like attics, basements, and garages. FYI: A little goes a long way with high expansion DIY foam insulation – spray only 1″ of this to see it expand 30x. The cells in open cell, or low expansion spray foam are loosely packed and the R-value is lower, but – installed in the right place – this is not a disadvantage for insulation. Open cell foam works as a air barrier, and unlike closed cell foam the R-value of open cell foam will not change over time. Low expansion DIY spray on insulation expands by only 10% of the initial spray size, so it’s best used in small areas, like cracks and gaps in floors, walls, windows, etc. It only takes a little information, the right type of foam, and the right amount to properly insulate your home. While checking every nook and cranny for possible air leaks, it can be easy to forget some of the bigger culprits right in our faces. Air ducts are placed throughout the house to bring heat and cool air, but they wear down after some time, developing cracks and leaks that can seriously influence the comfort level and energy usage in your home. Duct sealing is the simplest solution to this problem, but first you need to find out if your air duct system is in fact leaky. Aside from the signs listed above, you can also have an HVAC contractor test your duct system to see if it needs sealing. Based on the results, you can then seal the ducts yourself or have a professional do it. You know the room that is always too cold, too hot, or just to stuffy for anyone to relax in? Duct sealing could solve that problem. A properly working duct system will allow air to flow evenly throughout the home, so inconsistent cooling/heating will no longer be an issue. Did you know 20-40 percent of your energy bill comes from leaky air ducts? Poorly insulated homes sap more energy than you realize, leaving you confused (and sometimes angry) with the high dollar amount of your energy bill. Sealing air ducts will allow you better control of the energy usage in your home, therefore better control of how much money is sent the energy companyâ€™s way. Leaky air ducts pick up polluted air, carrying not only the air from your heating/cooling system but also pollutants like exhaust fumes, mildew/mold, and even pollen – which could be a serious problem for anyone with pollen allergies. Sealing air ducts will prevent dirty air from mixing in with your homes air system. 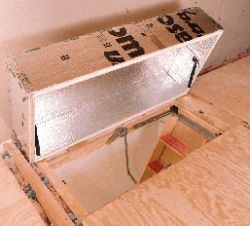 You can make duct sealing a DIY project or hire a contractor. Either way, the benefits of a properly working duct system will be felt throughout the house, your energy bills, and even through the safety level of air in your home.